Olivia Black does not feel safe. Nightmares plague her sleep and haunt her days. If she has to endure one more minute stuck in a safe house in rainy Portland, she's going to lose it. When Mike Palmer sneaks off to find her sister Kaylee without her, it's the last straw. She has to do something. Then Palmer's hackers find the Dome on a satellite feed: dark, abandoned and smack in the middle of the Oregon desert three hundred miles from where it started. If they can reach it before anyone else, they can crack the computer systems and access every piece of information on PSS the CAMFers and The Hold have ever collected. 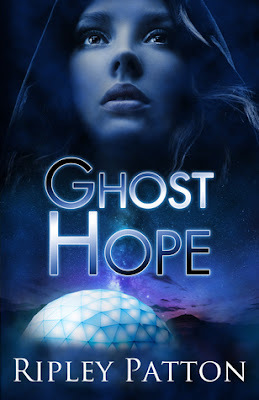 Ghost Hope is the fourth and final book in the PSS Chronicles, and I've got to say it was a very satisfying finale. Though the novel itself is on the shorter side, it's packed with action and intensity and lots of emotion. I've gotten to know these characters so well over the series and can't help feeling like I'm a part of their lives. When that ends, it's inevitably sad, but I really enjoyed this last part of their journey. The book picks up where Ghost Heart left off, with the main characters still split into different groups. Marcus and Kaylee are together looking after each other, and I loved getting to know what Kaylee is like. She intrigues me the most out of the characters in this book, and I just wish I got to see more of her. She's innocent but incredibly wise at the same time, and her unpredictability makes for some interesting plot points. 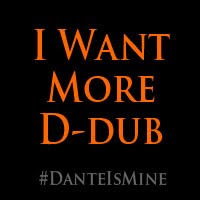 I was still iffy about the new Marcus, because he's not the same guy he used to be, the guy I loved in the first book. But I warmed up to him in this book. He steps up and really tries to do good instead of staying rooted to his past and what he remembers. It still hurts to see Marcus and Olivia interact like strangers, but from the title of the book, you can tell that there's always some hope. Olivia is still up there among my favourite YA protagonists. She's stronger and more determined than ever, and her drive to protect those she loves is so admirable. Especially after everything she's been through, and with Marcus not remembering her, and now with her long-long sister being back in her life. Olivia takes up the role as a leader, and she doesn't shy away from it. Her tenacity is incredible, and I applaud the author for writing such a strong but realistically flawed character. I won't say anything much about the plot, but there are a few big things we find out related to PSS, its nature and beginnings. Questions I've had since the first book have been answered! 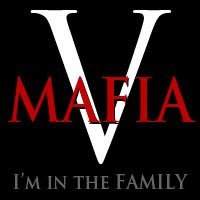 The ending of the book (and series) is bittersweet for many reasons, but like I mentioned before, the title of the book is a key indicator of the events that happen. All in all, The PSS Chronicles is a unique YA paranormal series, and Ghost Hope closes it out superbly. 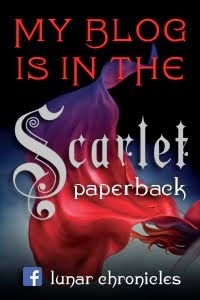 And don’t miss the first book in The Riven Chronicles! Cale and I used to dare each other to go outside the dome as kids, knowing we’d get into trouble if we were ever caught. Leaving the safety zone had been illicit and thrilling. It had been our secret spot, a tunnel in the bedrock carved by a long-dried underground stream when Neospes had fresh running water. I stare at the old access hole, now filled with titanium, as the memories rush back. It was the first time I’d seen a Reptile. Cale had just turned eleven. Thinking himself braver than ever, he’d dared me to accompany him on an early morning adventure beyond the dome. As much as I hadn’t wanted to go, he was my responsibility. “Come on, Cale. This is far enough. We need to get back.” We’d turned around only to see a horse standing between our secret exit and us. Only, it wasn’t a horse. “What is that?” Cale had whispered. Steam had blown from the creature’s distended nostrils, and then it had charged. I remember the rotting smell and the chunks of flesh hanging off its wired frame. It was also the first Reptile I’d ever killed. Cale became obsessed with Reptiles after that. He would lure and catch smaller ones, keeping them in cages. He studied the creatures, torturing them—ripping them apart and piecing them back together. I’d always thought his morbid fascination was odd, but, in hindsight, it was understandable. After all, he was a clone with a failing body, searching for a way to reconstruct himself. But Cale is dead. He’d died months ago in the Outers. She is the award-winning author of several young adult novels critically acclaimed by Kirkus, Publishers Weekly, VOYA, and Booklist, including Waterfell, The Almost Girl, and Alpha Goddess, a Spring 2014 Kid's INDIE NEXT title. Her debut novel, Bloodspell, was a #1 Amazon bestseller, and the sequel, Bloodcraft, was a national silver IPPY medalist. She is also the co-author of the adult historical romance series, THE LORDS OF ESSEX. As an author of color and a proud supporter of diversity in fiction, her articles on multicultural fiction have appeared in The Portland Book Review and on the popular Diversity in YA blog. She currently resides in Colorado with her husband and three children. 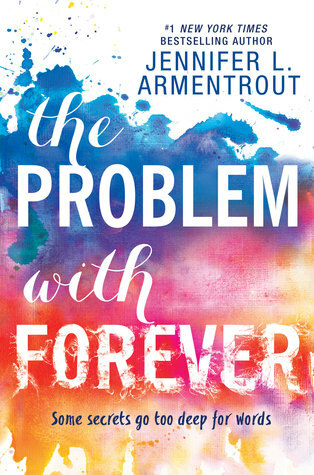 From #1 New York Times Bestselling author Jennifer L. Armentrout comes THE PROBLEM WITH FOREVER-a young adult title about friendship, survival, and finding your voice being released on May 17th, 2016! Read more about this stunning new novel below and be sure to pre-order your copy today to receive an amazing FREE fan pack while supplies last! Check out my review of The Problem with Forever below, and don't forget to enter the giveaway! 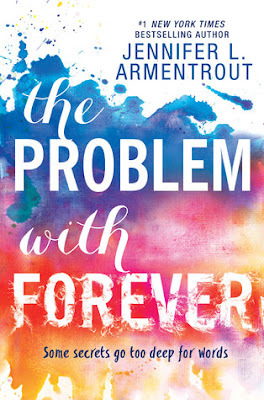 The Problem with Forever reminds me why I love Jennifer Armentrout's books. I normally don't read much YA contemporary, especially with premises similar to this, but I wasn't nervous at all going into this book because it's written by one of my favourite authors. And I wasn't disappointed at all! Armentrout's writing will make you fall in love with her characters, no matter how flawed or broken they are. After everything she'd faced as a child, Mallory has been homeschooled for the past few years, but she's decided it's time to rejoin the real world by spending her senior year of high school in a public school. She's terrified, obviously, but her emotions get all jumbled up when she meets the last person she'd expected to see at the school - her best friend and the boy she grew up with, Rider. They'd been through a lot together in the foster home they'd lived in, but after the incident that brought Mallory to her current adoptive parents, she'd never heard from Rider, until now. They begin to reconnect, and as Mallory gains the confidence to fight for herself, she realizes that she wasn't the only one affected by her past, and along with Rider being her rock, she may have to be his, too. Mallory is very different from Armentrout's other female protagonists, and also very different from any YA female protagonist I've read about, really. She takes quite to a whole new level - to the point where people are actually speechless when she does end up saying something to them. But Mallory has reasons for it. Her entire childhood depended on her ability to stay quiet. She was conditioned to never make a sound. Of course that impacts who she grows up to be! I'm amazed at the steps she takes in this book to come out of her shell and change who she was forced to become. It's a very different kind of bravery, but just as important as anything else. Mallory doesn't need anyone to stick up for her anymore, she does just fine on her own, and I was proud to see that happen. Rider is also pretty different from most YA protagonists. We don't get his point of view in this book so it's a little harder to figure him out, but I loved him. I loved seeing how much he cared about Mallory, and about his adoptive brothers. Rider is a good guy, no matter what he thinks or feels. He's kind and compassionate and though he has a lot of issues to work through, he's strong-willed. I found it a little annoying at first how he'd keep trying to protect and coddle Mallory when what she really needed was to be able to stand up for herself without anyone's help. But Rider understands later, and gives her space. I wouldn't say there's much romance in this book - it's mostly about Mallory and Rider discovering themselves and becoming the people they want to be. There is romantic tension, for sure, and the slow-burning connection between them is really sweet. What I found interesting is that the story would've worked out great even if there was no romance between them at all! They already have such a deep connection, which definitely would've been enough. But it's a YA contemporary so I guess romance is inevitable. Not that I'm complaining - I really liked it! There are quite a few shockers in the book, and a few emotional moments too - especially towards the end. I won't say anything about the specific details, but we do find out what happened in Mallory's past. Not as much as I'd expected to know, but still enough. To anyone who enjoys JLA's books - you need to read this one! 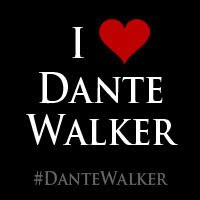 And also anyone who liked YA contemporary in general. The Problem with Forever is one book you most definitely cannot miss out on. It's touching, captivating, and just overall a great story. Be sure to check out all the stops on THE PROBLEM WITH FOREVER Review Tour!